In light of the fact that social responsibility and high ethical standards are paramount in its activities, JCA has enforced the JCA Conflict of Interest Policy in Cancer Research (hereinafter abbreviated as the “Policy”). The purpose of the Policy is for JCA to ensure that the presentation and dissemination of research findings, and activities to raise public awareness of research findings, are appropriately conducted in circumstances where neutrality and impartiality are maintained by appropriate management of conflicts of interest, and to discharge social responsibility by contributing to the advancement of preventing, diagnosing, and treating cancer. On September 30, 2018, in order to accommodate social factors, keep abreast with the amendments and establishment of laws concerning industry-academic collaborations, and changes surrounding cancer research, the JCA Conflict of Interest Committee revised the Policy with the resolutions of the Board of Directors and the Board of Councilors. The JCA Board of Directors has the authority to deliberate on Policy violations and, if it concludes upon deliberation that the act under review constitutes serious noncompliance with the Policy, the Board may take measures for a fixed period of time in accordance with the seriousness of the noncompliance. Since April 2011, JCA has received self-declarations on conflicts of interest not only in clinical research, but in all research, including basic research. For details, please see the following guideline and Q&A. From April 2011, researchers contributing articles to Cancer Science, the official journal of the Japanese Cancer Association will have to disclose any COI situations in line with the Cancer Science COI Policy. Researchers contributing articles are asked to read the following COI Policy and disclose any COI situations in line with the guide on article contribution screen. Cancer research based on industrial-academic cooperation not only returns to society the results obtained by researchers executing their scientific and ethical responsibilities (public benefit), but also sometimes generates money, standing and concessions, etc., that are acquired by individual researchers in association with such industrial-academic cooperation (personal gains). The situation where these two types of interests occur at the same time in regard to an individual researcher is known as “conflict of interest”. In order to promote industrial-academic cooperation, the occurrence of conflicts of interest is unavoidable, but it is also possible that adverse effects such as the loss of credibility in research results, the loss of trust by society, or dangers to clinical test subjects will occur too. 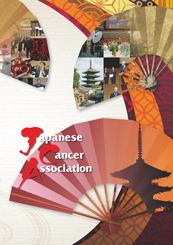 From April 2011, the Japanese Cancer Association will receive self-reports on conflicts of interest not only in clinical research, but in all research, including basic research, in association with the revision of the “Japanese Cancer Association (JCA) Detailed Regulations on Handling of Conflict of Interest”. For details, please see the following guideline, detailed regulations and Q&A on the detailed regulations. * The guideline follows the guideline jointly formulated by the Japanese Society of Medical Oncology and the Japan Society of Clinical Oncology. Copyright© 2002-2018 Japanese Cancer Association. All rights reserved.